We're very excited and looking forward to this weekend, because magic is about to happen! 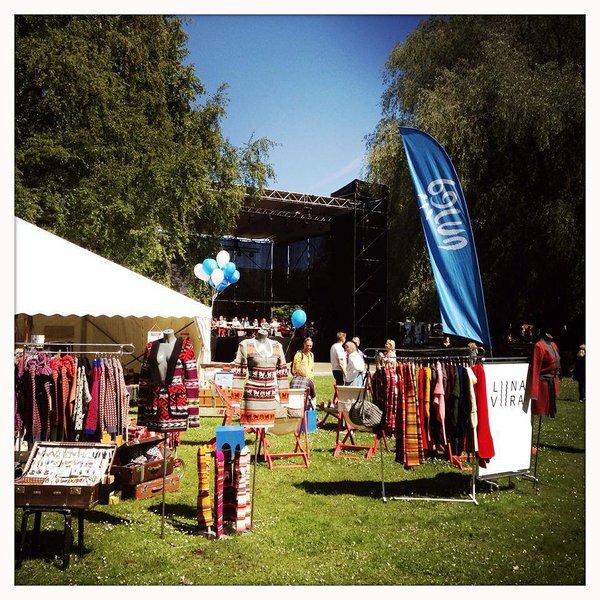 Song and dance celebration is a very special event for everyone in Estonia. Tens of thousands of people gather to sing and dance together after every five years. It's hard to put into words this powerful emotional movement that one can experience on the festival ground. Highly recommended! We're packing and preparing to open our booth at the festival ground for the coming celebration. Big mess gets sorted out and cute booth is set up. We are happy to share our booth with talented craftsmen and women from Pärnu. So many awesome people have flown in from many countries around the world. Always happy to meet old friends from the Swedish-Estonian community from Sweden. The day is full of joy and laughter, so many impressions that it's almost impossible to remember who you are at the end of the day. But it's all good! We met so many lovely people at the Song and Dance Celebration. Among others, American photographer Bill Frakes and his crew. Check out their photos, videos and stories on the Straw Hat Visuals blog. It's a beautiful overview of what happened that week. Plan a trip to Tallinn for July 5-7 2019, if you can. This is when the next celebration is held.